Hawai'i Electric Light Company provides most of the Big Island’s electricity. Lava has overrun more than 760 power poles and a switching station in lower Puna. Customers with rooftop solar supply about half the island’s power, but there’s a complication from the volcano. We spoke with HELCO President Jay Ignacio on a very sunny day. 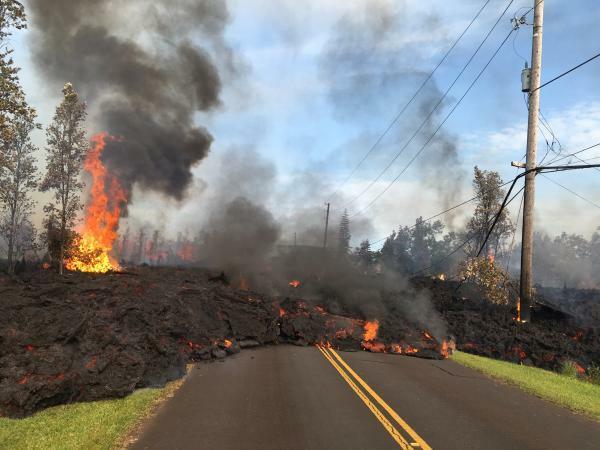 HELCO’s peak demand before losing customers because of the lava was around 170 Megawatts. Surprisingly, demand has not decreased. Before the plant shut down, Puna Geothermal Venture supplied roughly a quarter of the island’s power. Replacement electricity does not come from renewable sources. One lingering question: the impact on rates. Ignacio estimates the increase might be around $1.70 per month, for now. The company is asking for proposals for more renewable energy, but as with power restoration in lower Puna, the timeline is uncertain.